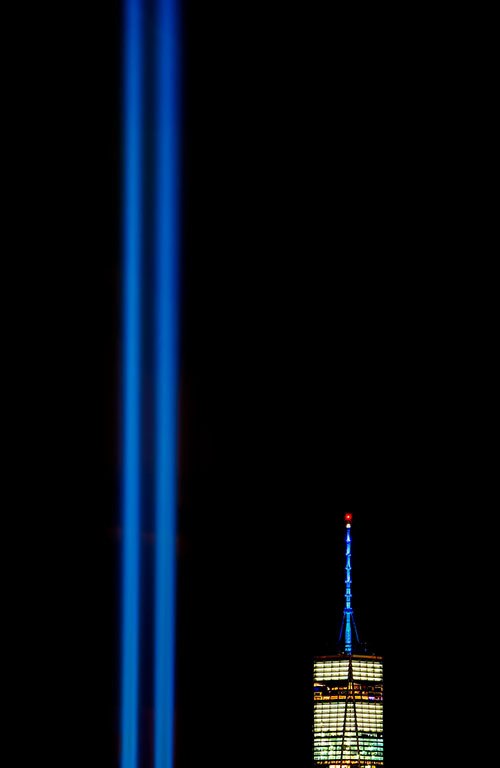 Tonight I had the opportunity to press the new Fuji X-T2 into service photographing the 911 memorial lights in New York. Both images below were done in bracketed exposures 1-stop apart that were combined later as tone-mapped images. The top photo, taken with the Fuji 50-140mm f/2.8 lens set to f/5.6 is a combination of three exposures to balance the night lights. 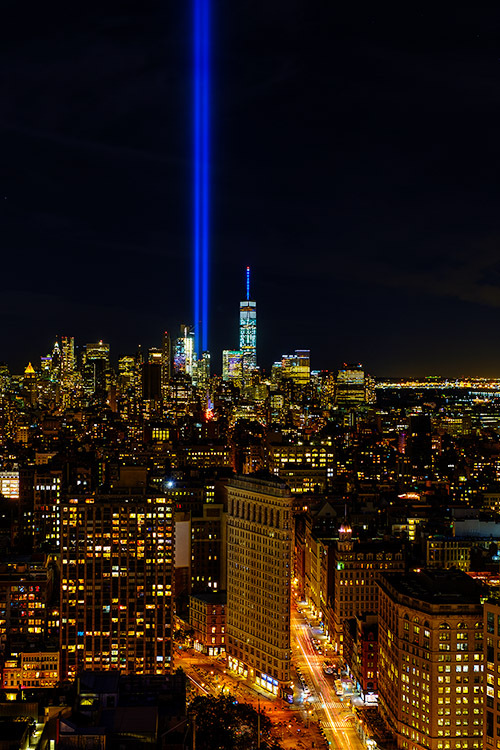 The second photo below showing the Flatiron Building in the foreground was taken with the Fuji 16-55mm f/2.8 lens and also set to f/5.6. It is a combination of four bracketed images apart to balance the exposure. 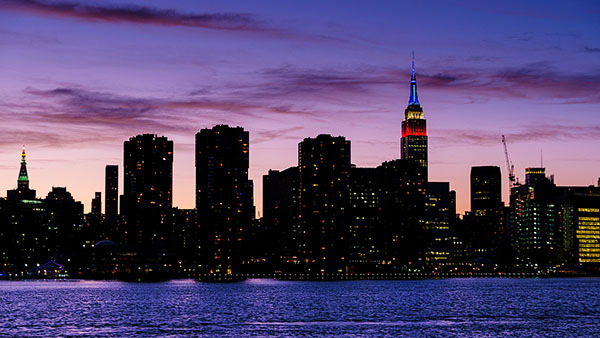 The Empire State Building was lit in red, white, and blue as part of the memorial celebration.